Over the past few years, a number of communities – both urban and rural – have successfully improved broadband access in their local area. However, not all homes and businesses are currently scheduled to be covered by commercial or public roll-out plans, and communities which are not included in plans may want to consider developing their own solutions. The Department for Digital, Culture, Media and Sport is aiming to help other community groups to access and benefit from potential models, case studies, guidance and funding options relevant to local broadband projects. 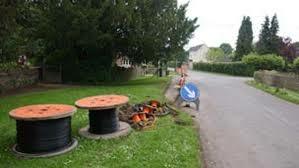 The case studies provided are intended as a non-exhaustive list of the options open to communities, and have been limited to models that have resulted in communities successfully receiving an improved broadband service. For further information, visit the GOV.UK website.